Fairy tales have become so ingrained in our culture that we rarely question where they came from or what may have inspired them. As is often the case, the possible truth behind these tales, and who inspired them, may be stranger than fiction. 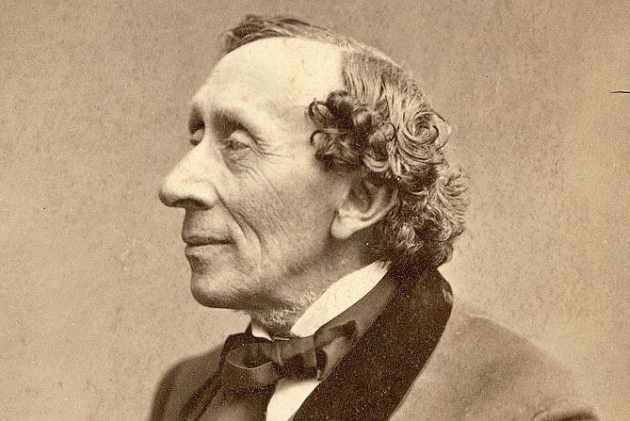 Hans Christian Andersen, known for writing classic stories such as “The Snow Queen,” “The Little Mermaid,” and “The Ugly Duckling,” may have made the latter story more autobiographical than readers might guess. In the end, it turns out that the “ugly duckling” was really a swan whose egg accidentally rolled into a duck’s nest. Similarly, although Andersen grew up poor as the son of a shoemaker and a washerwoman, it was long rumored that he was the illegitimate son of the crown prince of Denmark. In other words, he wasn’t an ordinary duck, but rather a noble swan. “The Nightingale,” another story written by Hans Christian Andersen, focuses on a Chinese emperor who is so entranced by the song of a nightingale that he invites the bird to stay with him in his castle. But when he receives a jeweled mechanical bird as a present, he loses interest in the real nightingale and lets her return to the forest. Years later, the emperor becomes deathly ill, prompting his old friend, the nightingale, to return and sing to him on his deathbed. Upon hearing the song, Death is so moved that he lets the emperor live. 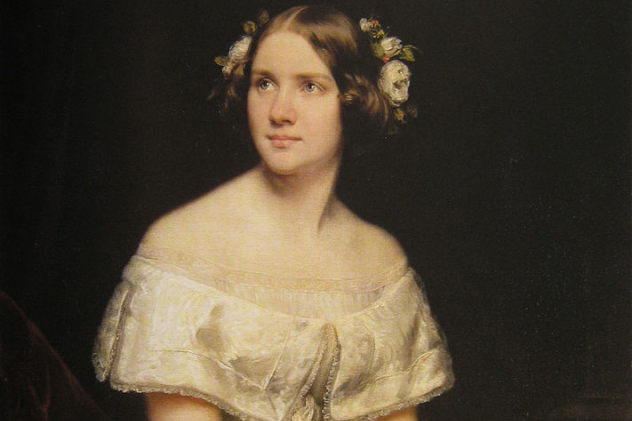 Andersen is believed to have dedicated this story to his unrequited love, famed opera singer Jenny Lind, also known as the Swedish Nightingale. Unfortunately, Lind saw Andersen more as a brother than a romantic partner and went on to marry the Polish composer Frederic Chopin. Though the well-known story of Snow White was first recorded in print by the Brothers Grimm in the 1800s, the woman who may have inspired the story was Countess Margarete von Waldeck, born in 1533. At 16 years old, the countess met and fell in love with Prince Phillip II of Spain. Her hateful stepmother, Katharina of Hatzfeld, did not approve. Neither did the king of Spain, as a prospective marriage between Margarete and Phillip did not coincide with his political agendas or Katharina’s. When von Waldeck died of an apparent illness at 21 years old, she was believed to have been poisoned by Spanish authorities on the orders of the king. One major difference from the Snow White story is that she couldn’t have been murdered by her stepmother, as Katharina died prior to von Waldeck’s death. As for the seven dwarfs, von Waldeck grew up in the Wildungen area of Hesse in Germany, where her brother’s copper mines employed child laborers, whose growth was stunted due to malnutrition. Another possible inspiration for Snow White is Maria Sophia Margaretha Catharina von Erthal, daughter of Prince Philipp Christoph von Erthal. She was born in 1729 in Lohr, Germany. Her stepmother was Claudia Elisabeth Maria von Venningen, who was by many accounts a domineering woman who favored her own children over her stepchildren. The castle in which von Erthal grew up is now a museum and has a famous mirror on display, which the prince gave to his second wife. The mirror has inscriptions that translate to “self-love” and, “She is as beautiful as the light,” perhaps an inspiration for the evil queen’s narcissistic vendetta. 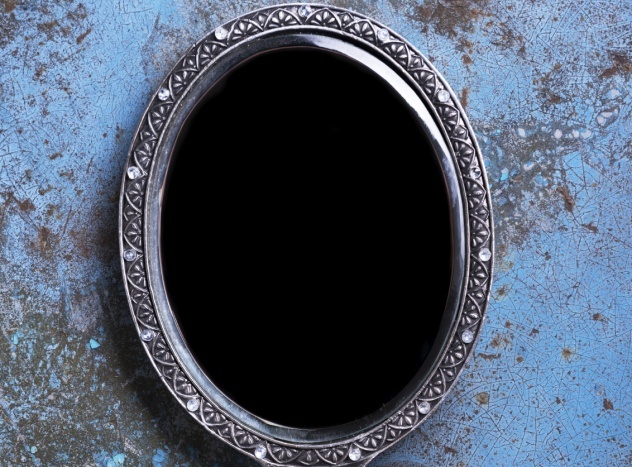 Mirrors in Lohr were often called “talking mirrors,” as they were believed to show the truth in their reflections, not unlike the evil queen’s magic mirror. They were made by the region’s famed glassmakers, who may have also inspired the glass coffin that Snow White was placed in after biting the poisoned apple. Speaking of which, the hills of Lohr have always been rich in apple orchards as well as the poisonous nightshade plant. Once again, the dwarfs are believed to have been inspired by mine workers, as only shorter men were able to fit into the nearby tunnels in Bieber. As well-known as the story of Cinderella is, few may know that it may have originated with a Greek girl named Rhodopis, who was kidnapped and sold as a slave in Egypt. 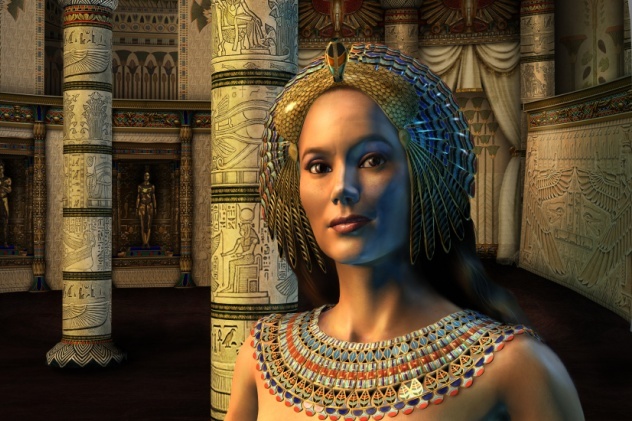 Some stories claim that the pharaoh was so taken by Rhodopis’s beauty that he took her in as a concubine, and she lived in luxury the rest of her days. Another version claims that one night, her fellow slaves attended a festival that she couldn’t go to, so the god Horus morphed into a falcon, stole one of her slippers, and dropped it in the pharaoh’s lap. The pharaoh located its owner, fell in love, and married her. Despite the obvious fantasy elements, there are records of a courtesan named Rhodopis who lived during the reign of Pharaoh Amasis II and eventually became one of the queens of Egypt. Rhodopis was first written about sometime close to the birth of Christ by the Greek historian Strabo, who may have based it on a historical account written by Herodotus 500 years earlier. Being locked away in a tower is a fairy tale trope most commonly associated with Rapunzel, which was first written in the 1600s. 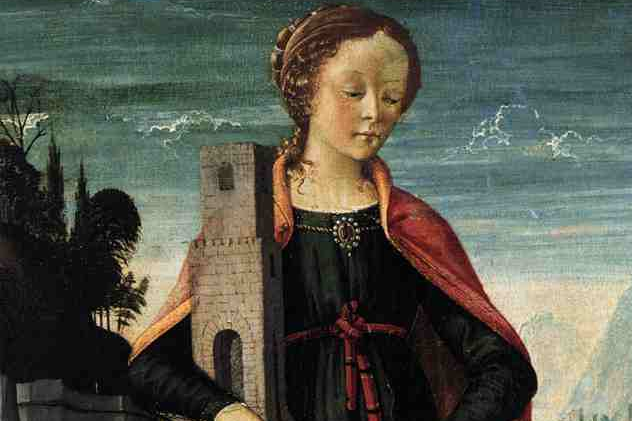 But this plot may have originated with Saint Barbara, an early Christian martyr from the third century. Barbara had several suitors lusting after her as a result of her legendary beauty. This did not sit well with her father, who locked her in a tower to keep them away from her. He also wanted to keep her from being exposed to Christianity, as he practiced the Greco-Roman religious system and wanted her to do the same. Barbara lived in the tower for years, receiving food and laundry through a basket attached to a rope. One day, someone dropped a book on Christianity into her basket, spurring her interest in the religion. Once her father found out that she’d converted, he had her tortured by Roman authorities in an attempt to make her renounce her faith. When that didn’t work, her father beheaded her. Legend has it that he was then struck by lightning, burst into flames, and died. According to “Hansel and Gretel,” witches live in gingerbread houses, lure children with baked goods, and fatten them up for slaughter. 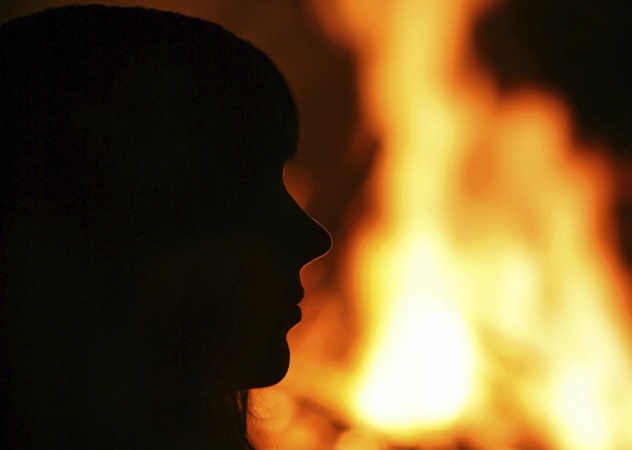 The story of Katharina Schraderin, however, is one of unfair persecution due to superstition. Schraderin was born in 1618 in the Harz Mountains in Germany and would become famous for her gingerbread cookies. She started off baking them for church events and went on to sell them at markets and fairs. It was at one of those fairs that she met Hans Metzler, a local baker who pursued her relentlessly. When she didn’t return his affections, he harassed her so much that she moved away, taking her baking business with her. Spurned by this rejection, Metzler publicly declared that she was a witch. Schraderin was arrested and tortured but ultimately released due to lack of evidence. Metzler and his sister, Grete, then broke into her house, murdered her, and cremated her in the oven. Metzler and Grete were arrested but later released, and when the story was retold, they became innocent children while Schraderin became the monstrous witch. During the Dark Ages, Conomor the Cursed was a tyrannical leader in Brittany who murdered several wives. One of those wives was named Tryphine. He was so entranced by her beauty that he offered to end a war in exchange for marrying her. One version of the story claims that Conomor executed Tryphine when he became enamored with another woman. In another version, Tryphine became pregnant and then discovered the tombs of Conomor’s previous wives. 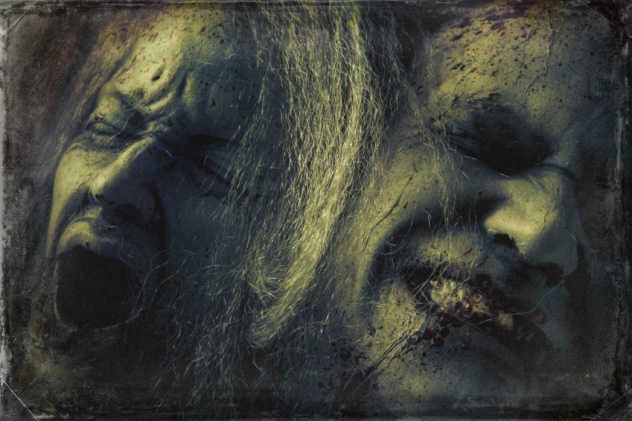 Their ghosts told her that Conomor murdered them when he discovered they were pregnant because he believed that his child would grow up to kill him. Tryphine attempted to escape but was caught and beheaded. The French folktale “Bluebeard,” believed to have been inspired by Conomor, has a happier ending. The young wife of an aristocrat named Bluebeard discovers the tomb of his previous wives, but before Bluebeard can kill her, her brothers rescue her and kill him. The wife inherits his fortune and castle and gives the wives a proper burial. 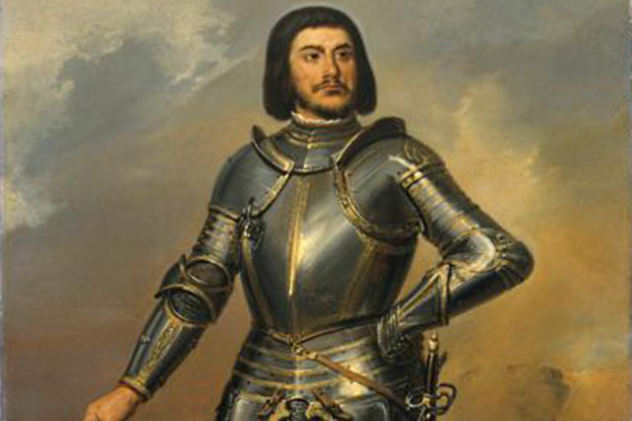 Another possible inspiration for Bluebeard was Gilles de Rais, a French military leader who is believed to have murdered children rather than women. After fighting alongside Joan of Arc against the English in the 1420s, Rais returned to his homeland of Brittany, where he inherited a luxurious chateau, married a rich heiress, and began to lead an extravagant lifestyle filled with pageants and music. But he wanted more money and more power, so he cultivated an interest in Satanism. By the time he was arrested in 1440, Rais was thought to have abducted, tortured, and murdered at least 140 children. Rais pleaded not guilty, but he was convicted and sentenced to death. Though he confessed and repented prior to being hanged, some historians believe that Rais could have been innocent, as he only confessed under threat of torture. He was also an enemy of the duke of Brittany, who would have benefited financially from Rais’s downfall. In any case, Rais continues to be associated with the story of Bluebeard to this day. One Thousand and One Nights is a collection of fairy tales with a storyteller named Scheherazade at their center. She was the newest bride of a murderous Arabian king who would execute each wife the morning after the honeymoon. Scheherazade survived by telling him stories night after night, and eventually he fell in love with her and spared her life. In real life, a woman named Al-Khayzuran bint Atta, born in Yemen between 701 and 761, was kidnapped by Bedouins and sold into slavery. Her luck took a turn when the caliph she was sold to fell in love with her and married her. Al-Khayzuran became a highly influential figure in her husband’s court and even convinced him to appoint her sons as his successors, rather than the sons of his other wives. Her younger son is believed to have been guided by his mother’s counsel during his reign, resulting in him becoming a beloved leader and a patron of the arts. Though it’s not known if she won the caliph with her storytelling ability, Al-Khayzuran’s marriage to the caliph and subsequent rise to power is believed to be the foundation for Scheherazade’s character. It’s an intriguing story on its own, with or without the many tales in between.